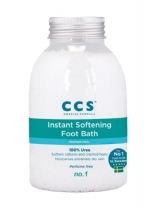 CCS Skin care can be used on other areas of the body prone to dryness or flakiness, and to help soften the cuticles. 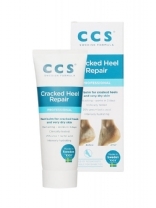 CCS Foot Care Cream contains Urea, the bodys own moisturiser and its natural hydrating effect is prolonged by a high concentration of stable, skin-friendly emollient fats. 100% urea, Perfume free. Softens calluses and cracked heels. Moisturises extremely dry skin. Contains 100% humectant Urea that effectively softens dry skin, calluses and cracked heels. 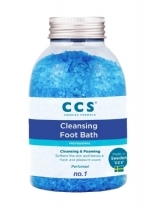 Perfumed, A Cleansing and foaming Foot Bath. Softens the skin and leaves a fresh and pleasant scent. Leaves the feet smelling fresh. CCS Skin care can be used on other areas of the body prone to dryness or flakiness, and to help soften the cuticles. It contains Urea, the bodys own moisturiser and its natural hydrating effect is prolonged by a high concentration of stable, skin-friendly emollient fats. 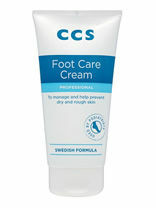 CCS Foot Care Cream is hypoallergenic and suitable for the most sensitive skin.